With Teamup Calendar, you can export single events to other calendar services that support the iCalendar file format (.ics). This includes Google Calendar, Apple iCal, MS Outlook, Yahoo Calendar, and many more. There are 3 ways to export a single event. Right-click on the event to open the context menu (shown below). Events can also be exported from the event viewer/editor; click an event to open it, then choose Share. Click on Share and select the destination calendar application. 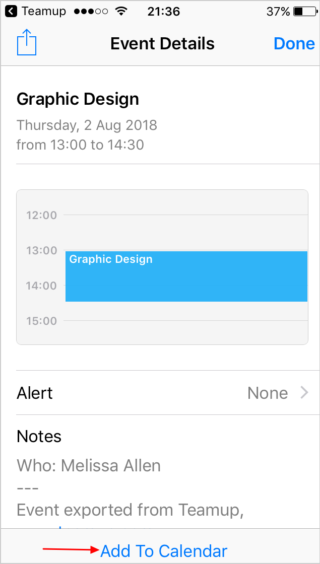 The event will open in your selected calendar application (see right screenshot below). You can edit the event details or add information as needed, then click Save. 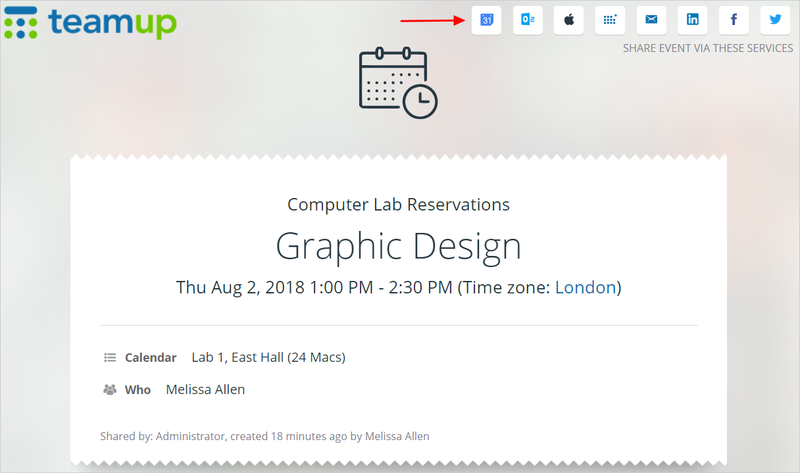 Any event on a Teamup Calendar can be easily shared as a unique, stand-alone webpage. You may be viewing an event page because someone shared the link with you. Or perhaps you followed an event link from a notification email. If you are using a mobile device, you can share an event from the Teamup mobile apps or from a mobile browser. Tap the Share icon at the top of the event. 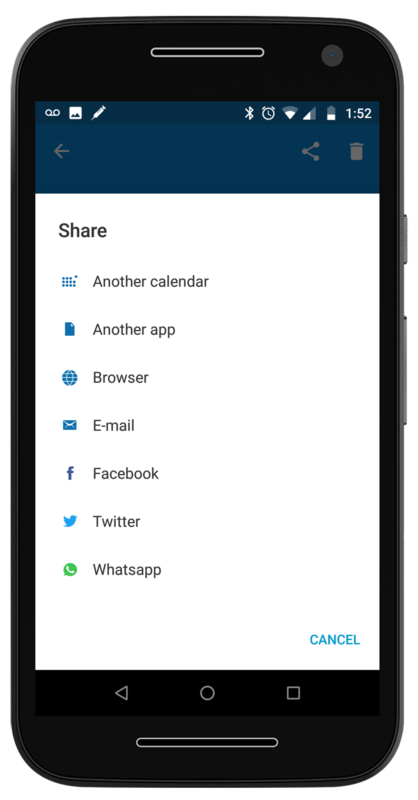 To share an event from the Teamup mobile app, tap to open the event. Then tap the Sharing icon in the top right. A menu of sharing options will open. 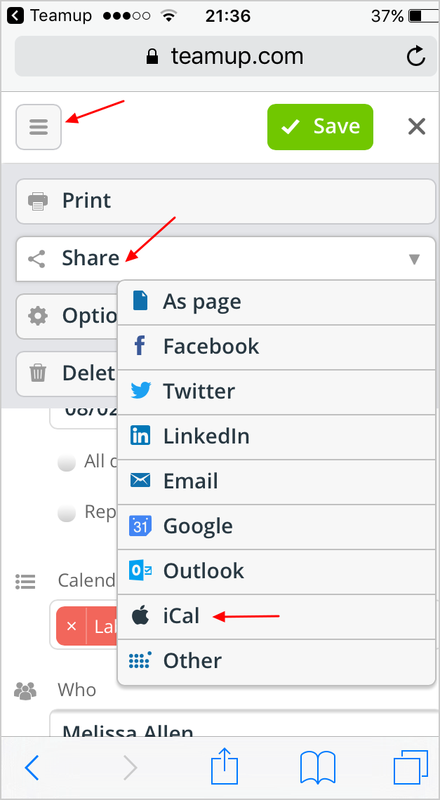 Select the Another calendar option to share the event to another calendar service. 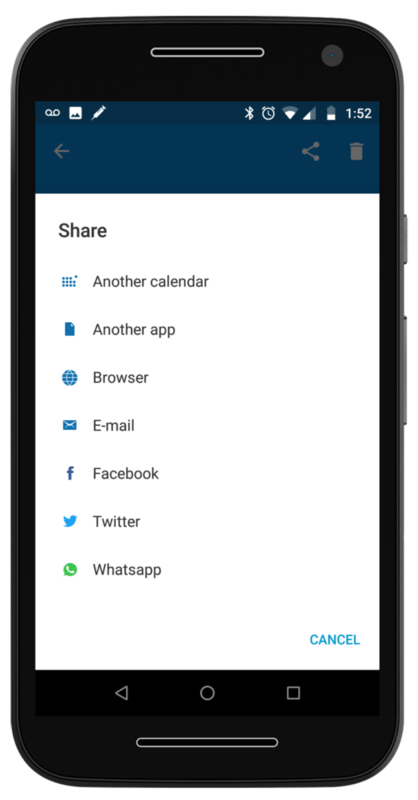 If it is the first time you have shared a Teamup event to your other calendar service, you will need to give permission for Teamup to access your calendar. 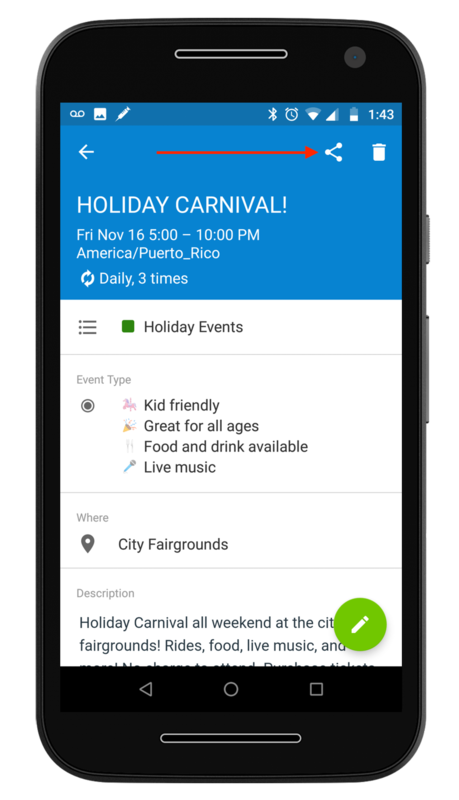 Then you can adjust the details and description of the event before you save it to your other calendar service. 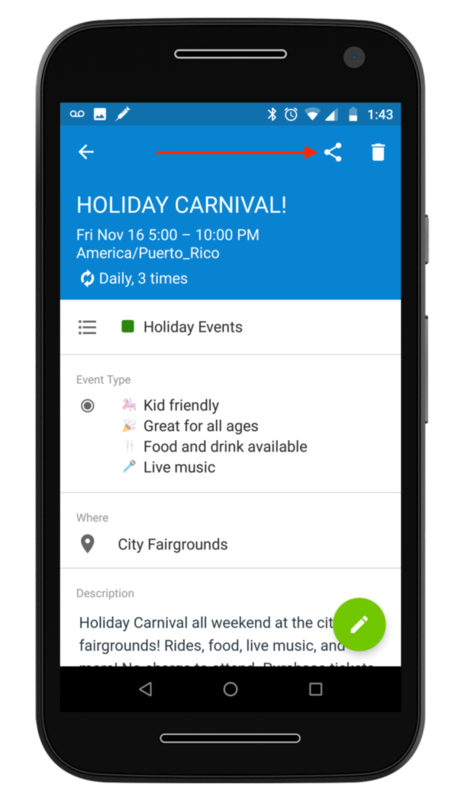 First open your calendar in the mobile browser. Tap the 3-bar menu icon. Tap Share to show the drop-down menu of choices. If you are a calendar administrator, you can export all your Teamup Calendar data to a .csv or .ics file. Then you can import it into another calendar program. See how to bulk export here.